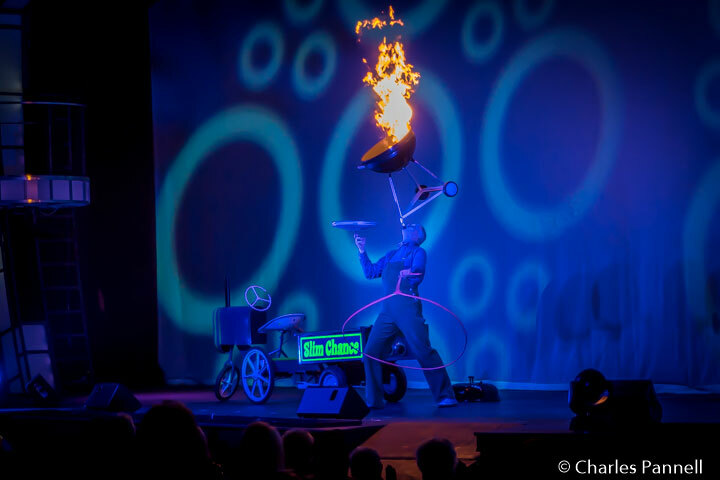 Although there’s certainly no shortage of live entertainment in Pigeon Forge, it’s difficult to see all the shows in any one visit. Unfortunately some tough choices need to be made entertainment wise. With that in mind, here are my top two show picks that offer the most entertainment bang for your buck, plus a very accessible place to rest your head while you’re in town. The Smoky Mountain Opry (smokymtnopry.com) tops my must-see list for one reason — Slim Chance. And I’m not talking about the likelihood of winning the lotto, but I’m referring to the very talented comedic juggler who literally had the audience on the edge of their seats. Throughout his act he cajoled the audience with his quick-witted one-liners as he juggled progressively more difficult objects. The finale was a sight to behold as he balanced a blazing barbeque on his chin while he swung a lariat with one hand and balanced a spinning lid with the other. And yes, you read that last sentence correctly. Access to the theater is excellent too, with wide doorways, plenty of room to navigate a wheelchair and accessible restrooms. Wheelchair seats with adjacent companion seats are available throughout the theater, and frankly there’s not a bad seat in the house. Additionally there’s a whole row of accessible parking spaces near the entrance, so there’s plenty of room for everyone. 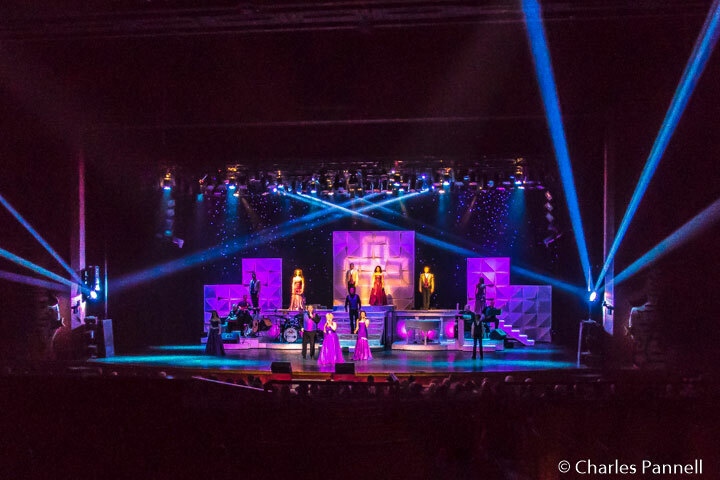 My other top entertainment pick — Country Tonite (www.countrytonitepf.com) — boasts equally impressive access, with wheelchair and companion seats at all levels of the theater and barrier-free access to public areas. To be honest, I was a bit reluctant to see this show, as I’m not exactly a country fan, but in the end I absolutely loved it. It’s more of a high energy musical revue, with everything from Kenny Loggins’ Footloose to R-E-S-P-E-C-T. Throw in Dolly Parton’s Coat of Many Colors and you have something for just about everybody. Variety is the key word here and the talented performers — the youngest one being just 10 — really work up a sweat to pull off a fast-paced crowd-pleasing production. Truth be told, you’ll probably find yourself tapping your toes at least once or twice during this lively show. Located just off the parkway at Stoplight 1, the Music Road Hotel (musicroadresort.com) is just around the corner from the theaters. The 163-room property simply oozes mountain charm, with a massive fireplace in the lobby and rocking chairs on the back patio. Not only is it very homey, but it’s also nicely accessible. And you just can’t beat the location. There’s plenty of accessible parking in the front lot, with level access to the lobby. Accessible room 104 is located on the ground floor, just a short walk from the lobby. Access features include wide doorways and good pathway access, and the room is furnished with two 27-inch high queen-sized beds with an access aisle between them. Other furnishings include two side chairs, a chest of drawers, a microwave and a refrigerator. There’s also level access out to the pleasant garden patio that borders the river. The spacious bathroom features a full five-foot turning radius and is equipped with a roll-in shower with grab bars, a hand-held showerhead and a portable shower chair. The toilet grab bars are located on the left and back walls (as seated), and the bathroom also has a roll-under sink. Accessible rooms with tub/shower combinations are also available. There’s barrier-free access to the public areas of the property as well, including the breakfast room, where a buffet breakfast is served every morning. 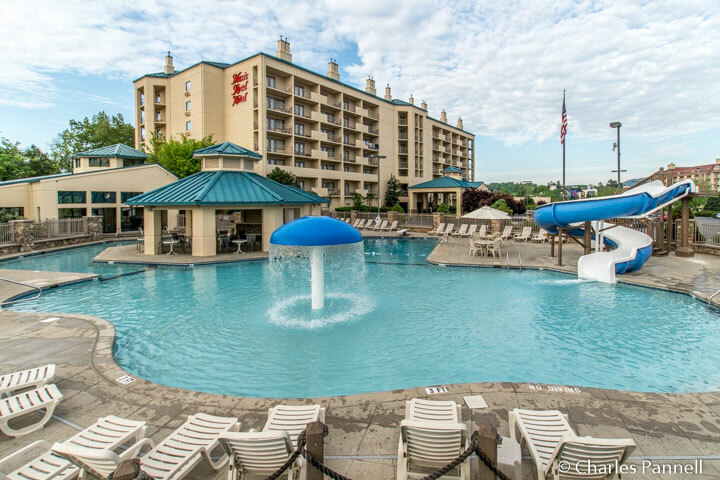 There is also level access to the indoor lift-equipped pool and the water park. And although this property is located just off the parkway, because of the river and the landscaping, it feels like it’s miles away from the city. In short, it’s a little slice of country life in the middle of the busy city. And that’s the perfect combination for a relaxing Pigeon Forge stay. Editor’s Note: All attractions and lodgings mentioned in this article were undamaged by the 2016 fires, and they are all open for business.